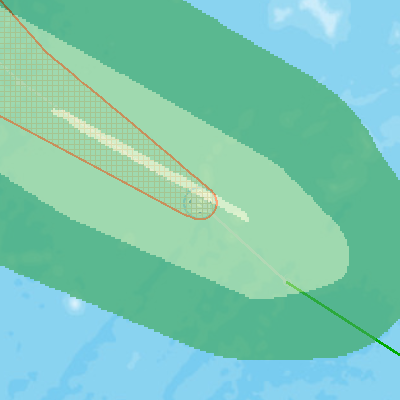 150300Z POSITION NEAR 29.8N 170.1E. TROPICAL DEPRESSION (TD) 10E (HECTOR), LOCATED APPROXIMATELY 1317 NM NORTHWEST OF JOHNSTON ISLAND, HAS TRACKED NORTHWESTWARD AT 20 KNOTS OVER THE PAST SIX HOURS. ANIMATED MULTISPECTRAL SATELLITE IMAGERY INDICATES THE LOW LEVEL CIRCULATION CENTER (LLCC) HAS ELONGATED DUE TO HIGH SOUTHEASTERLY VERTICAL WIND SHEAR AND ACCELERATING FORWARD MOTION. THE MOST RECENT ASCAT PASS NO LONGER DEPICTS A CLOSED SURFACE CIRCULATION. TD 10E HAS TRANSITIONED INTO A SUB-TROPICAL CYCLONE AND WILL CONTINUE TO DECAY DUE TO PERSISTENTLY NEGATIVE ENVIRONMENTAL FACTORS. THIS IS THE FINAL WARNING ON THIS SYSTEM BY THE JOINT TYPHOON WRNCEN PEARL HARBOR HI. THE SYSTEM WILL BE CLOSELY MONITORED FOR SIGNS OF REGENERATION. MAXIMUM SIGNIFICANT WAVE HEIGHT AT 150000Z IS 14 FEET. REFER TO TROPICAL STORM 19W (LEEPI) WARNINGS (WTPN31 PGTW) FOR SIX-HOURLY UPDATES. REFER TO TROPICAL STORM 20W (BEBINCA) WARNINGS (WTPN33 PGTW) FOR SIX-HOURLY UPDATES. REFER TO TROPICAL DEPRESSION 21W (TWENTYONE) WARNINGS (WPTN34 PGTW) FOR SIX-HOURLY UPDATES.